Restore that fresh-off-the-lot look with a C5 Corvette 1997-2004 Replacement Truvette Mass Carpet Set for your coupe. We start with the finest, Truvette carpet available and custom dye it to OEM specifications, then thermal press-mold each piece to exactly match your Corvette's floor pan. All stitching, trim, padding, and heel pads match factory specifications. 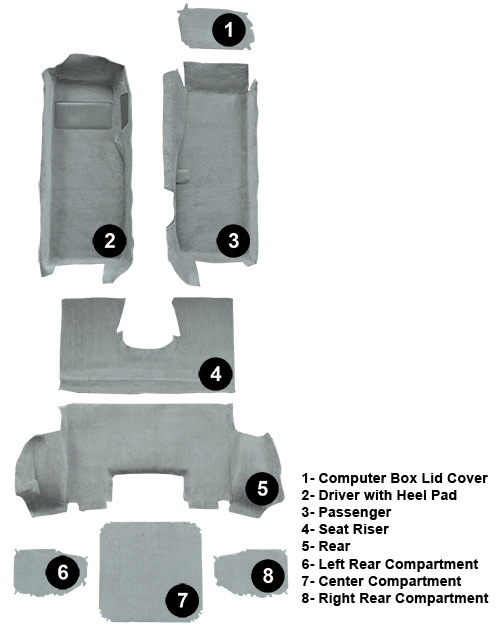 Kit includes the right and left front, computer piece, main rear, riser, and (3) compartment door covers. Please note that this set does not include the 3 pieces of carpeted plastic for the tail light section. 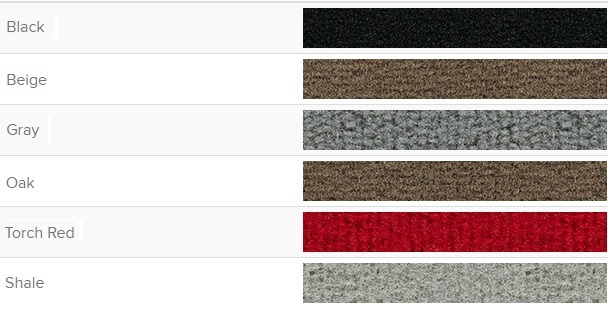 Q: will these carpets fit a 2002 convertible ? Q: Can I buy just the fronts?